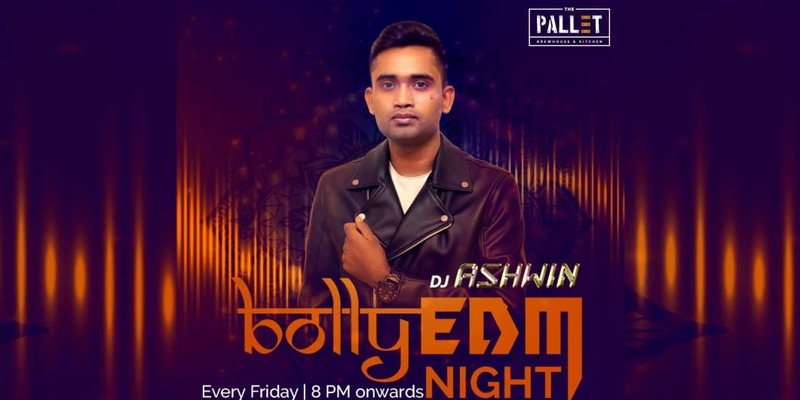 Turn up for an uplifting experience at The Pallet this Friday with DJ Ashwin playing EDM followed by Bollywood dance music. DJ Ashwin known for his EDM and bollywood music will mix up the two genres for an electifying experience. The Pallet - Brewhouse & Kitchen is Whitefield's hottest and largest party destination. Its the finest microbrewery that offers an amazing dining experience amidst great music, award winning ambience and of course, the finest craft beers. The Pallet- Bengaluru’s Newest Party Destination. Have you checked out Whitefield’s hottest and largest brewhouse in town? Welcome to ‘The Pallet - Brewhouse and Kitchen’. It’s the finest restro-pub that offers an amazing dining experience amidst great music, perfect ambience and of course, the finest craft beers. What’s more? Our cuisine has been planned under the expert advice of Chef Kanishka Kamat, renowned the world over for his expertise in the culinary industry. Every dish is a creation owned and innovated by Chef Kanishka Kamat.